If your child has any health issues please make sure the school are aware and if appropriate make arrangements to supply the school with for example asthma pumps and Epipen’s etc. If you are 5 minutes late every day that adds up to over 3 days lost each year. 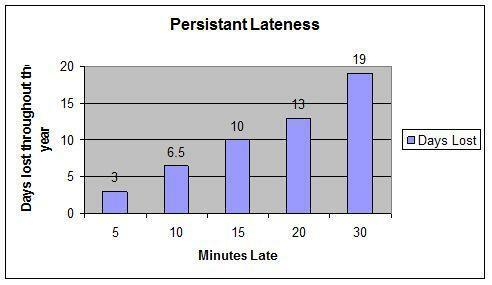 15minutes late is the same as being absent for 2 weeks a year.